For every second, hour, minute and day it took to produce Runway on the Runway, it was all worth it for the one minute it took to walk down the Concorde catwalk with the TCT Crew. Never have I been so proud. Thank you to every single one of you for sharing your story and getting up there and showing the world, especially the 654 young people in the North West that were diagnosed with cancer last year, that there is life after cancer and it is possible to get back to being a normal teenager. Special thanks to Kirsten and Melissa who braved the catwalk despite still undergoing treatment. You are all my heroes. "I am one of triplets with my sister Chloe and brother Alex. I was diagnosed with Osteosarcoma in my right lower leg. I had two cyles of chemotherapy and subsequently had to have my right leg amputated. I had more chemotherapy and an operation to shorten my bone then more chemotherapy. I am now clear of cancer and hope to stay that way. The Teenage Cancer Trust has made my time in hospital much easier to cope with. Having cancer has changed my perspective on life. I want to use my experience to help other young people going through cancer treatment. The experience of walking down the catwalk at the Runway on the Runway event was sensational. The old Olivia was back". To find out more about Olivia's journey click here. "I was diagnosed with Acute Lymphoblastic Leukemia in January 2011 at the age of 14. During my four month stay in hospital I faced many complications including stays in intensive care and several emergency visits to theatre. I have now completed my treatment, and I'm back at school and doing my A 'Levels. 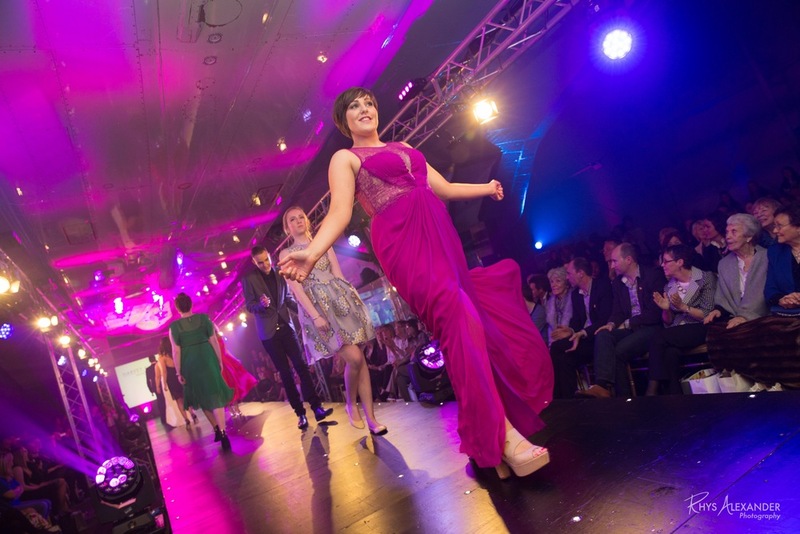 I was not fortunate enough to be treated in a Teenage Cancer Trust unit but taking part in Runway on the Runway boosted my confidence and self-esteem at a very difficult time. More importantly, I met and made friends with other young people in similar situations to myself. Raising awareness about teenage cancer is really important to me as it has a profound effect on young people and their families". "My name is Leanne and I am 25 years old, I can’t describe how thankful I am that I am here today to be able to tell my story. In May 2008 I was just 18 years old when I was diagnosed with Leukaemia. It was such a shock and everything just seemed to happen so quickly, I went to see my G.P with what I thought was a sore throat and swollen glands to be sent to have blood tests at the hospital the next day. A couple of days later I went back to my G.P to get the results of my blood test and this is when I was told I had what was thought to be leukaemia which is a blood cancer. I had to go back to the hospital to have my bloods taken again and these results confirmed that the diagnosis was correct. The next day I was sent to the Young Oncology Unit at The Christie hospital to start my long, hard battle fighting cancer. My hair falling out was personally one of the hardest things that happened to me and when this happened I hit one of my lowest points. I didn’t feel like a girl anymore I lost all of my confidence and self esteem. The young oncology Unit helped me in every possible way. Spending time at the Young Oncology unit gave me the opportunity to meet other teenagers going through the same thing that I was, I met so many amazing and inspirational people and I can now say that some of these will be my friends for life. I still receive certain aspects of care throughout the hospital due to long term effects that I suffer with because of chemotherapy; the after care that I have received has helped me so much and helped me to get my life back. I can’t put into words how much the teenage cancer trust means to me, it has not only supported me all the way through my battle with cancer but it is the reason that today I can call myself a cancer survivor! " I was diagnosed with leukaemia in 2005 at the age of 15. Following 2 ½ years of chemotherapy at Manchester Children’s Hospital, I had around 3 years of good health. Then in 2011 I started to get severe leg pain. Tests confirmed Avascular Necrosis (AVN) which causes bone death. Since then I have had to take very strong pain killers and morphine to cope with the pain in my legs and I now have a screw in my leg which helps with my stability. I know that no surgical interventions can cure this condition but I am determined that it’s not going to control my life. I am now in the final stages of completing a Masters Degree in Social Work qualifying this summer and I hope to eventually work with children and young people who suffer serious illness. Having AVN sometimes makes me feel isolated, more like a 60 year old than a young woman in her 20’s at times, but it’s not going to stop me going down the Concorde catwalk in March looking like a million dollars! Bring it on…. I was diagnosed on 20th August 2013 with high grade Non-Hodgkin's lymphoma. I was 19 years old. I had 6 months of chemotherapy followed by radiotherapy every day for three weeks. I have been told that I am now in remission. was lucky enough to be treated on the Teenage Cancer Trust ward at Christies. Meeting other teenagers that were going through similar experiences made my journey just that little bit easier! The unit was a home from home where I could continue to be a teenager. Being involved in Runway on the Runway is something I'm really looking forward to. Before I was ill, I was lucky enough to have a lovely mane of dark hair that reached almost all the way down my back. Chemotherapy put paid to that. But I am now getting back to normal and I continue to be supported by the Teenage Cancer Trust. Being part of the fashion show will be a great experience. It will be such a great night that will make me feel glamorous and be a fantastic confidence booster for all of us. In 2014 I was diagnosed with lymphoma at the age of 23. This was a really difficult time for me. I spent 13 weeks in hospital, 10 of those in critical care on a ventilator. I have now finished my chemotherapy and I am shortly about to start radiotherapy. I am currently working towards being a solicitor and have set up a small business with my hairdresser selling hair pieces for people suffering hair loss. Being ill really knocks your confidence so I am really looking forward to modelling at the Runway on the Runway fashion show. Thank you for giving me the opportunity to be part of this marvellous event. 15yr old, MELISSA is our youngest member. was diagnosed with Ewing's Sarcoma (a rare form of bone cancer) in November 2014 being only 15 at the time. Prior to the diagnosis I suffered with quite a lot of symptoms; servere pain in my left lower rib cage, pressure on the chest, shortness of breath, struggling to lie down and sleep at night. I was going to the doctors on a regular basis and was given a wide selection of pain relief to help my symptoms but nothing helped. I started going to the doctors at the beginning of August 2014 and by November we were fed up with them dismissing the pain as sports injuries. My mother then took me to the local A&E where they did a chest x-ray. I was then told that I had a partially collapsed lung on the left side, at which point I was the transferred to Oldham General where I had to then wait for an ultrasound of my abdomen and chest. It was then that I was told the news that no teenage girl wants to hear - You have cancer. I was then transferred to RMCH where things happened so fast; biopsy, bone marrow aspiration and a hickmen line was fitted. Then came the chemo; 6 lots of intense chemotherapy which made me lose a lot of weight and I became really poorly. After this I had surgery where I had 4 of my ribs removed. Now I am on the second half of the chemotherapy which consists of 7 lots of treatment. I am also undergoing 30 sessions of radiotherapy. I should hopefully be ringing the end of treatment bell at the beginning of September. I was diagnosed with testicular cancer in February 2014 at 20 years old. After successful surgery to remove two tumours on my right side, a later CT scan revealed no more visible cancer in my body. Although surgery was the only treatment I underwent it has still been a very difficult time in my life. I’m still under a watchful eye having scans and tests every 3 months and have now been in remission for 6 months. I feel very fortunate to be well, able to work full time and continue with my studies in my spare time. Whilst at the Christie the Teenage Cancer Trust have been amazing with help and support from the moment I heard the word cancer, they have provided me with countless opportunities and have allowed me to meet other young adults and teenagers who are in similar situations. I’m really looking forward to being on the catwalk as it’s a completely new experience for me and I’m very grateful for the opportunity, helping to highlight that cancer in young people happens." I'm so thankful to be given the opportunity to take part in Runway on the Runway! Before I fell ill I loved getting all dressed up and going out with my friends & im slowly but surely getting back to my old self. It's easy to get lost in the whirlwind of hospitals and concentrating all your energy on recovery and getting better that you can forget who you are and the person you were before this chapter of treatment in your life. I was diagnosed with Hodgkin’s Lymphoma in 2009, roughly two weeks before my 16th birthday; I’m now 21 and thankfully completely loving life! It was back in August 2009 when everything really kicked off. 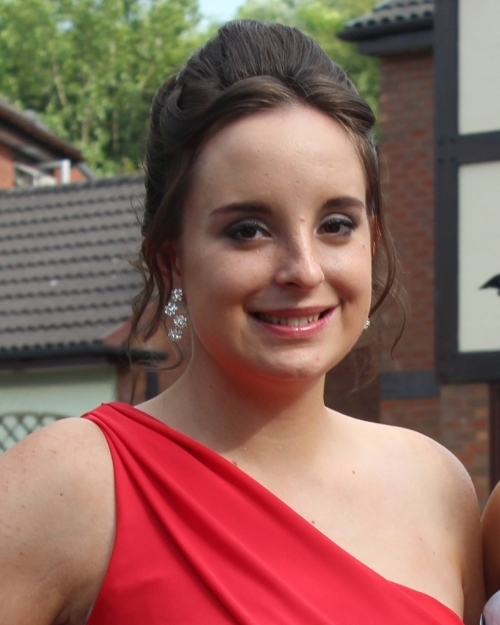 I’d been ‘off’ for so long but never thought anything was diagnosed with Hodgkin’s Lymphoma in 2009, roughly two weeks before my 16th birthday; I’m now 21 and thankfully completely loving life! It was back in August 2009 when everything really kicked off. I’d been ‘off’ for so long but never thought anything I was treated on theYoung Oncology Unit at the Christie with the biggest benefit of being surrounded by others going through the same experiences as me and being around nurses and staff who understood us, it was a completely safe and warm environment. I had both chemotherapy and radiotherapy and suffered really badly from the side effects and spent most of my time in hospital with infections. It was so life changing; I’d gone from being at school and being a young girl to a medical world and growing up quickly. Cancer is the hardest thing but it isn’t all negative, I’ve had some of the most amazing experiences including this and I’ve met some of the most incredible people. I’m so proud to represent the teenage cancer trust because they’re truly there for us and acknowledge us as the people we are. I’m so excited to be part of Runway on the Runway and it’s even more special as I get to do it with two of my best friends whom I met through Christies and a team of incredible people!